· Bioworld (Booth #25099) will introduce an assortment ofnew Rick and Morty accessories including bags, wallets, belts, headwear, wristbands and more, which will be available at specialty stores nationwide this fall. · Hot Properties Merchandising is set to debut key chains, magnets, patches, buttons and stickers this fall at specialty stores nationwide. 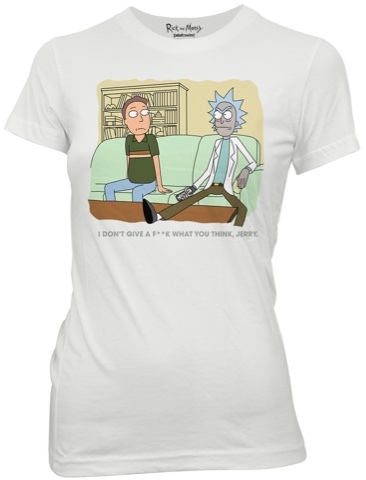 · Adding to their existing offering of Rick and Morty t-shirts and sweatshirts for men and women, Ripple Junction (Booth #26019) introduced enamel pins earlier this year. · Daylight Curfew introduced limited edition, co-branded apparel, including t-shirts and sweatshirts, as well as a collaboration with Run The Jewels this May. The collection is available on DaylightCurfew.com. · Rick and Morty hosiery from Hyp will be available this fall at specialty stores. · Surreal Entertainment (Booth #25014) will be launching an assortment of glassware, coin banks and other exciting beverageware products this fall in specialty stores. 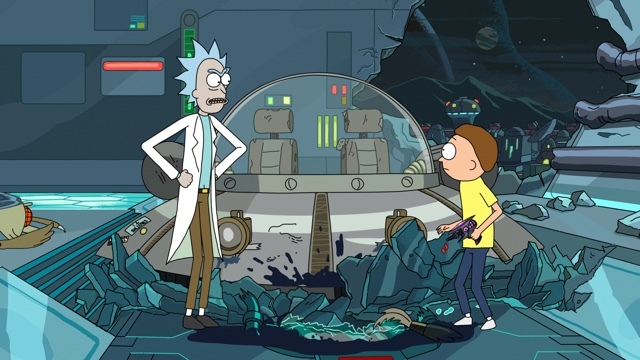 Created and executive produced by Dan Harmon (Community) and Justin Roiland (Adventure Time),Rick and Morty follows a sociopathic genius scientist who drags his inherently timid grandson on insanely dangerous adventures across the universe. When season two premiered in July 2015, it was ranked #1 in its time period among all key adult demographics, and it is now currently in production for season three.